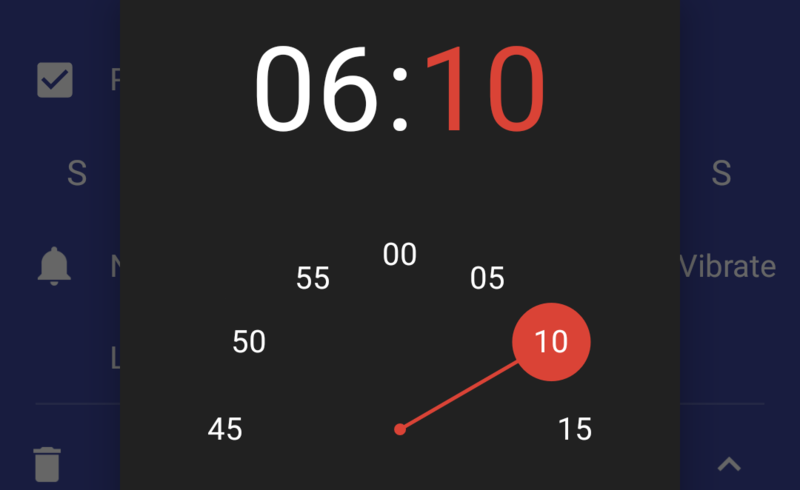 There's a new little animation when setting an alarm in the clock app that moves the selector hand from the hour value to the minutes value. If that's not entirely clear, have a look at the gfycat below: after selecting the hour for an alarm, the hand now sweeps smoothly into the minutes position, whereas in Marshmallow, the hand would simply reappear in the minutes position without any visual transition or animation. This is definitely a very very minute change (see, Rita? I can make puns too) and probably won't even get noticed by the overwhelming majority of users, but these little details are actually what Material Design is all about. One of the core principles of Material is that "motion provides meaning," and this is a perfect example of just that. Here's to hoping we'll see more of these tweaks in future updates to N.
Unfortunately the new app won't install on devices that aren't running Android N, so there's no point in trying to get it running on your phone or tablet. It looks like the change isn't exclusive to the clock app: Google's Calendar app also has the new time picker in Android N, and so does Tumblr. Interestingly, the most recent version of Tumblr's app still targets Marshmallow, which means that this is actually an update to the picker dialog itself, and not just a custom implementation: the same build still brings up the old picker when running on anything before Android N. There are still a few apps in N that don't seem to have the new picker yet, but that might be just because they're using an old version of the API.